Earlier this year, andBeyond Ngala Private Game Reserve ranger (and Rhinos Without Borders ambassador), Dan Fenton, walked a staggering 922km from andBeyond Phinda Private Game Reserve to the Ramatlabamba border post, to retrace the route of the first Rhinos Without Borders translocation. 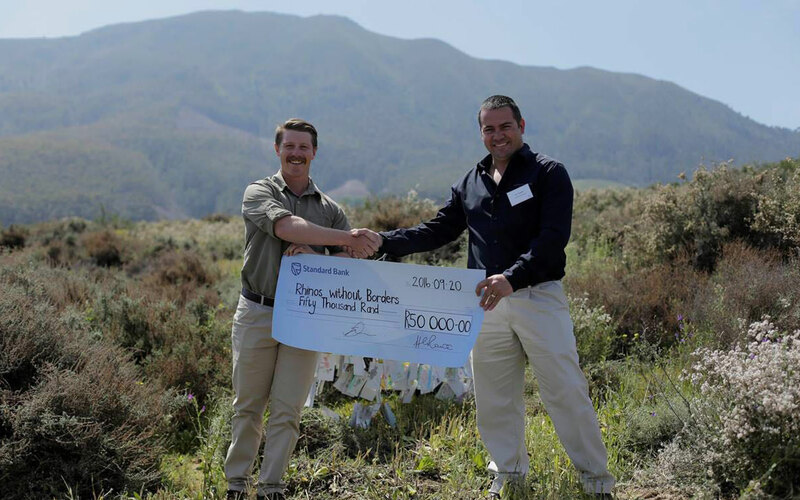 In doing so, he was able create awareness and raise R76 500 for the project. Dan’s momentous walk was picked up by various media outlets and had garnered the attention of Linton Park Wine Estate’s marketing team. In support of World Rhino Day, held on 20 May 2016, Linton Park Wine Estate created a two-fold event, where Dan was invited to talk to the local school children of Die Laerskool Hugo Rust, and attend an afternoon fundraiser held at the estate. At Die Laerskool Hugo Rust, a fun-filled morning was enjoyed by all. In addition to learning about the importance of rhino conservation, the children and teachers had set to work on a variety of projects, including a fantastic fund-raising initiative where chalk-drawn outlines of rhinos were filled with coins. 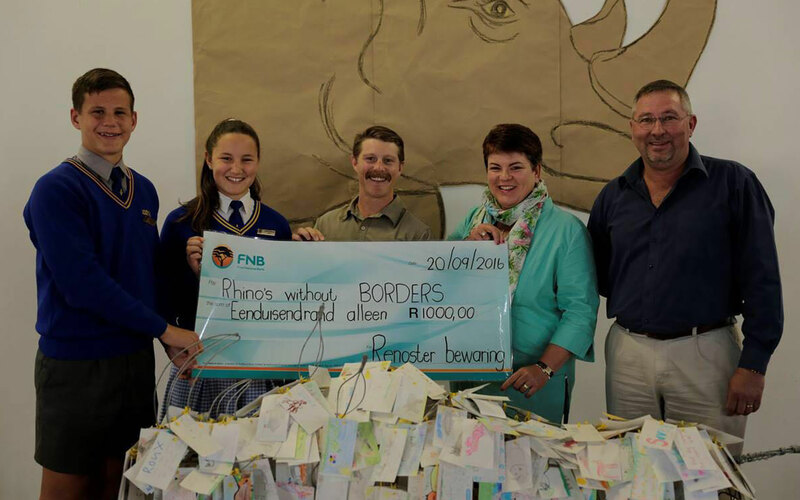 A total of R1 000 was raised for the Rhinos Without Borders project, and a cheque from the school was presented to Dan on the day. Following the stop at Die Laerskool Hugo Rust, Dan was whisked away to the spectacular Linton Park Wine Estate where, surrounded by a significant media presence and various dignitaries, he again highlighted the plight of Africa’s rhino. 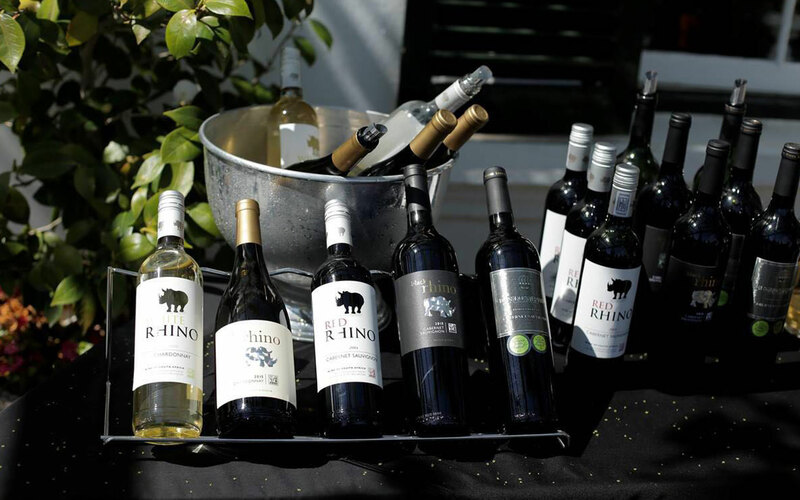 Also showcased at the estate, was Linton Park’s specially created range of Rhino Wines. Proceeds from the sale of this collection were directed to Rhinos Without Borders, and a fantastic total of R50 000 was raised. A huge thank you must go to Linton Park Wines, Die Laerskool Hugo Rust and Dan Fenton for supporting Rhinos Without Borders! Video courtesy Linton Park Wines.